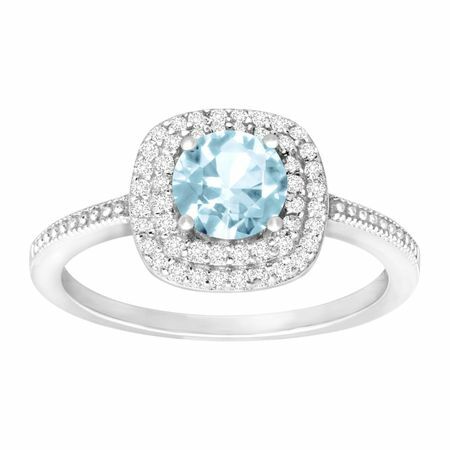 Illuminate your look with an elegant yet stylish sky blue ring. 1 ct round-cut natural sky blue topaz is haloed by round-cut cubic zirconia totaling 1/4 ct, all set in sterling silver. Ring face measures 3/8 by 3/8 inches.